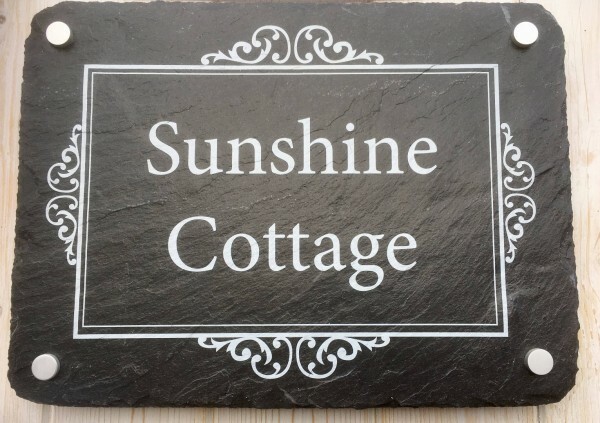 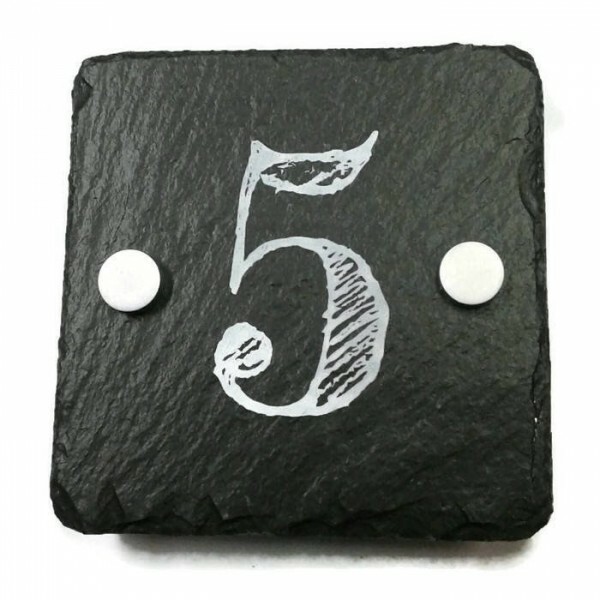 Hand crafted in genuine slate, this all-natural product is printed to order and is available in different designs. 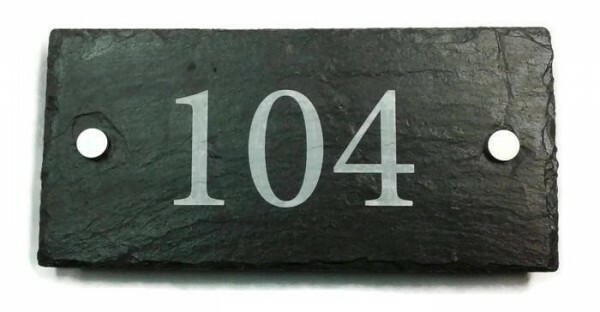 Each sign is slightly different due to the nature of slate. 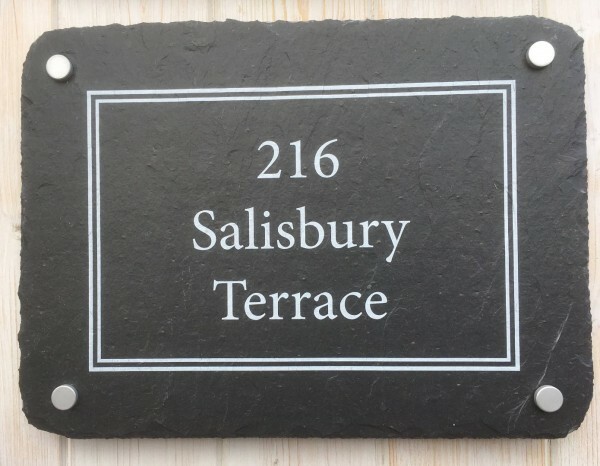 The sign has pre-drilled holes and is supplied with brushed steel fittings to attach to a wall. 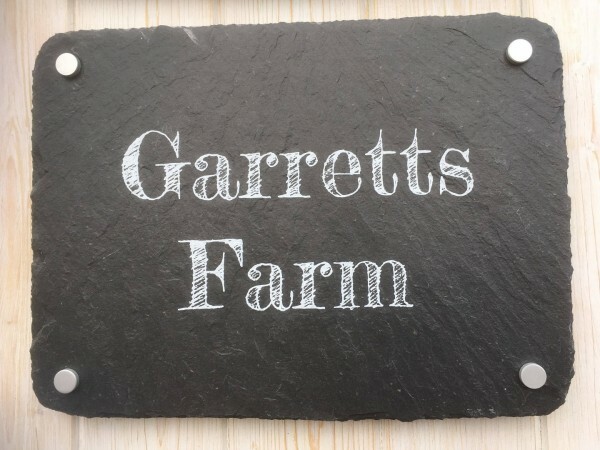 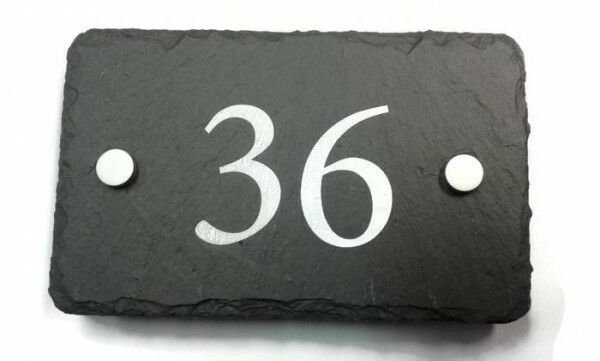 Enter your personalised house sign into the add a note to your order tab in the shopping basket. 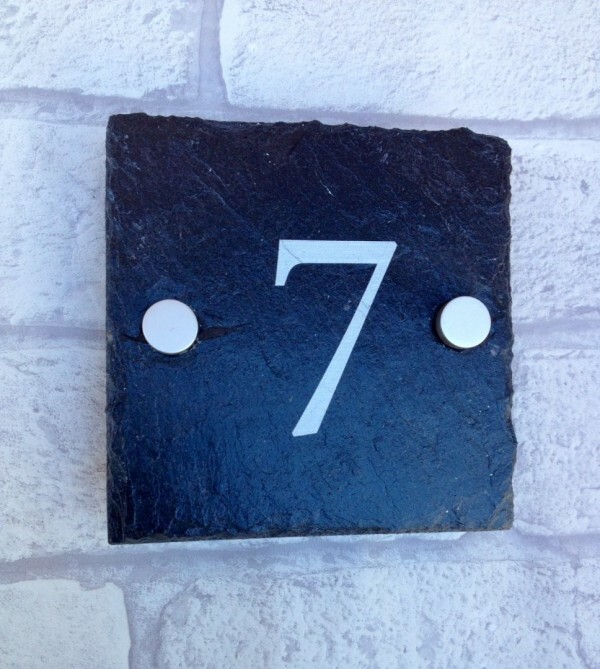 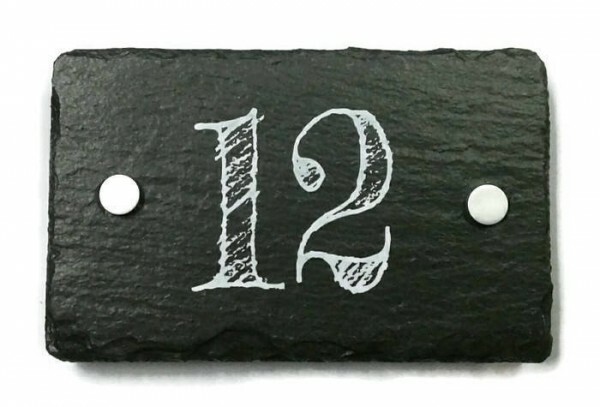 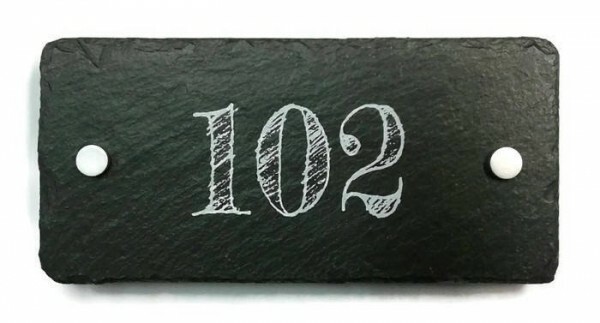 Slate House number (double) .